Jesus tells us in today’s Gospel Ask and you will receive – Ask in prayer, and you will receive what you pray for. This is one of those passages where we might be tempted to think the Bible is wrong. Probably most if not all of us have asked God for things in prayer, and haven’t received them. Sometimes it even seems like God’s sending us snakes and scorpions instead of the Fish and Eggs we ask Him for. So what’s the problem? Why do we many times not seem to get what we pray for? Asking, Seeking and Knocking, are like the Father, Son and Holy Spirit, they are inseparable from each other when it comes to prayer. In other words, Jesus says to us, “Ask for anything in prayer, and God will answer you – but you need to go seek God out to get it! He’s not going to bring it to you, He wants you to come get it from Him. Seek, and you will find. And the only way to God is through the narrow gate, and up the narrow road. And once we have finished this seeking, once we’ve got off the wide road that leads to destruction and climbed up that narrow path of holiness which leads to life, even after all that seeking, then we have to knock on God’s door to please come out and give us the answer to our prayer. And nine times out of ten, God won’t open the door on the first or second knock. Then and only then, will we obtain from our Heavenly Father what we have prayed for, and we will appreciate it all the more because of the effort it took to get it. Yes, my brothers and sisters, prayer isn’t as simple and easy as it looks. To become a master at prayer, to pray effectively, takes great effort on our part. Take a close look at the parable Jesus gives us on prayer. This man goes out at midnight, not to the neighbor next door, but miles away to his friends house to ask His friend to help him. And back in Jesus’ day, the man wouldn’t have just hopped in his car, drove down a paved road all lit up with street lights, and got there in a couple of minutes. This man would have rather set out on foot, in the dark, down dirt roads and paths, with only a lantern to light his way. He would have to be concerned about bad weather, biting insects, wild animals, and thieves as he made his way in the night to his friends house. But the man in the parable willingly made that difficult journey, and didn’t turn back, because one, he cared greatly for his needy friend and would do anything for him, and two, the man knew that the friend he was journeying to would give him the help that nobody else could give. Jesus is teaching us in this parable that to pray well takes the same love for others, the same faith in God’s power to answer our prayers, the same sacrifice of time and comfort, the same courage to turn away from sin and to seek the dark narrow way of holiness which leads to God, the same persistence in knocking on God’s door until He answers us. Through this Holy Eucharist may Our Lord give us the grace to keep asking, keep seeking, keep knocking, until God throws the door wide open and pours out His Holy Spirit in abundance upon us and those we pray for. Four years ago, in 2006, scientists and government leaders began to get very concerned when honeybees began to start mysteriously disappearing in large numbers in our country. Hundreds of thousands of beehives across America would be thriving and healthy one day, and the next day all the bees were nowhere to be found. By 2008, one out of every three beehives in the United States had been destroyed, in what is now referred to as “colony collapse disorder,” the cause of which is still undetermined. But it is a Big Deal if all the bees disappear, a very, very very Big Deal. Because if all the honeybees in America disappear, we would have a nation-wide disaster on our hands that would make the Haitian earthquake look like a picnic. Because while the bee doesn’t seem very significant compared to other problems our world faces, in reality, the survival of the human race is totally dependent on the survival of the honeybee. The good news in all this is that last year, only a very small percentage of beehives experienced colony collapse disorder compared to the large numbers in the previous three years, so hopefully that’s the end of that. I bring up all this, because in recent years a similar and equally serious phenomenon has taken place in our Catholic Church. But instead of Bees disappearing, we have priests disappearing. Just a few decades ago, even the smallest Churches in America had 2, even 3 full time priests ministering in them. U.S. Seminaries in every major city were filled to capacity with young Catholic men studying for the priesthood. Today however, Parishes are lucky if they have one full time priest all to themselves, and the big seminaries of old look as empty as a beehive which has suffered colony collapse disorder. And if you read last week’s bulletin insert, it said that in 15 years, half of the priests currently active in our diocese will have retired or be eligible for retirement. And we currently are in no way ordaining enough priests each year to replace these retiring priests. And this my brothers and sisters is a very serious problem, for the local Church is as dependent upon priests for it’s survival as humans are dependent upon bees for their survival. No more priests, no more Eucharist, no more grace, no more Church, no more mercy, no more salvation. The hopeful news, however, is that we can, if we want to, easily stop priests from disappearing. Mary says to us in today’s Gospel “Do whatever (My Son) tells you” And Jesus tells us clearly in Scripture that when priests start disappearing, you and I just need to Pray, and God will turn some of the young men in our parish into priests, just as Jesus turned water into wine at Cana. As I mentioned last week in my homily and in the bulletin, our parish is having “24-Hours of Prayer and Adoration for Priests and for Vocations to the Priesthood from our Woonsocket Parishes” which will be held at our parish from 4 p.m. Friday February 5 and end 4 p.m. Saturday February 6. This weekend, I’m asking every parishioner at Mass to make an offering of at least 15 minutes of their time to come to Church during that 24 hour period, to come to Church and pray for priests and for vocations. In your pews, you’ll find a “prayer pledge card”. If you could take a moment to fill this out. . . .Once you’ve filled the pledge card out, please put the completed form in the collection basket with your budget today. Thank you for your patience in filling this out, and for your commitment to pray for vocations. Jesus didn’t allow the the Wine to disappear on the good Bride and Groom who invited Him to their wedding, and neither will He allow the priests to disappear on us good Catholic who pray fervently to him for vocations. And while He’s at it, may Jesus keep those Honey Bees from disappearing again on us as well! Today’s first reading and psalm speak of the joy the Israelites had when they were able to rebuild the Temple in Jerusalem after the Exile. Even Jeremiah, usually a pretty grim, doom and gloom prophet, is bursting with happiness at seeing God’s Temple go up, as he says in the first reading: Thus says the LORD: Shout with joy, proclaim your praise and say “The LORD has delivered His people!” Behold, (now) I (the LORD) will gather them . . . . the blind and the lame, mothers and those with child, an immense throng. (Now) I will console and guide them, I will lead them to brooks of water, on a level road so that none (of them) shall stumble. 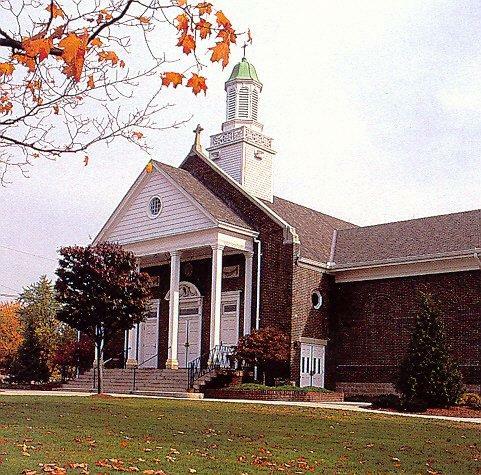 Today’s readings are most appropriate for us, as we rejoice, as we celebrate this weekend the 80th Anniversary of the building of this Temple of God, St. Joseph Church Woonsocket. The story of the birth of our parish goes back to the mid 1920’s. Our wonderful parish historian, Raymond Bacon, has for over 30 years chronicled our parish history, and as the current Pastor I’d like to take the opportunity to thank him for his excellent work, just a little of which I will share with you in this homily. In the late 1920s, this area of East Woonsocket was rapidly changing from a rural farmland to a populace suburb. The population of Woonsocket had doubled since the turn of the century, and St. Anne’s Parish which then included East Woonsocket was bursting at the seams. 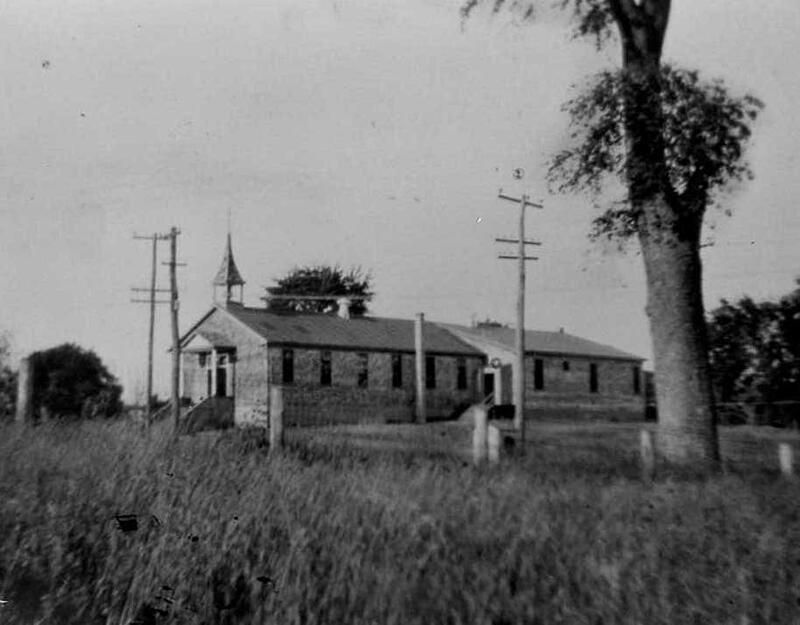 In July of 1926, at the request of East Woonsocketers who felt a strong need for a parish in their growing corner of the city, the Bishop of Providence, Bishop Hickey, purchased 6 acres of land from Elmer and Edwin Jillson, which is the present site of St. Joseph Parish. The cost of the whole 6 acres: $23,000 – less money than it cost to repair our steeple this past summer! Two and a half years later, the Bishop gave permission for a new parish to be founded. The Reverend Joseph F. Dumont, a curate at St. Anne’s, was appointed Pastor of the still unbuilt parish on Friday, July 12, 1929. On that Sunday, July 21, 1929, The Holy Sacrifice of the Mass was celebrated for the very first time at St. Joseph’s Parish, and Jesus our Lord took up residence in the Tabernacle, where He has happily lived for the past 80 years. Filled with Joy, over the thousands of people who were born again of water and the Holy Spirit from this Baptismal Font. Filled with Joy for the many holy vocations to the priesthood, diaconate, religious life and married life that have been nurtured from our parish. Filled with Joy that over these past 80 years, countless men and women have been nourished with the Eucharist, reconciled to God through the Sacrament of Penance, healed and consoled by Jesus through the anointing of the sick, and honored with Christian burial when their earthly pilgrimage ended, all here at our parish. Filled with Joy, that 80 years later, in 2009 we now worship God in this beautifully renovated Church building (with one of the best Steeples in Woonsocket! ); and our Catholic School and Public School children are getting taught the faith in a equally impressive, solidly built school building. But the greatest thing by far the LORD has done for us, my brothers and sisters, the thing we are most filled with joy about, is that the Faith our ancestors built this parish upon remains strong in the hearts of those who come to Mass here each week. Jesus Christ continues to be made known through the lives of so many faith filled parishioners. May St. Joseph our Patron, and Mary his Immaculate Spouse continue to shower these blessings from their Son down on us, as we celebrate this weekend, and for many many years to come. The Universal Church celebrates this Sunday “World Mission Sunday,” a Sunday when we focus on our call as a Church to be Missionary, to spread the faith to the ends of the earth. And while we are certainly to support the foreign missions to the Church in non-Christian lands, by our prayers and our financial support to today’s Second Collection, we also need to be mindful of the mission lands found right here in Woonsocket, in the neighborhoods we live in, in the places we work or go to school in – those people right around us that have yet to respond to the Gospel message, or have need of hearing it afresh. For we are sent from the Real Presence of Jesus here at this Church, back into the world, with the very important Mission to bring His saving love to all we come in contact with. I’d like to take the opportunity this World Mission Sunday to let everyone know about a major Missionary Effort our own Diocese of Providence will soon be undertaking – a mission to bring back Catholics in our Diocese who have fallen away from the faith. Throughout the months of December 2009 and January 2010, the Diocese will be airing, on prime time Television, three Television Ads created by a group called Catholics Come Home. An anonymous donor gave the Diocese the $200,000.00 needed to air these ads. If you go to www.catholicscomehome.org, you can watch them on line. The ads are geared towards Catholics who have either left the Church, or have stopped practicing the faith. They are very professionally done and in my opinion are pretty powerful, especially the first one which simply shows who the Catholic Church is, what we’ve done and continue to do, and then invites the viewer to join us. The Diocese has already started getting ready, and is asking all parishes and their parishioners to get ready for these ads. People you work with or live next door to might say to you in a month or so “Hey, you go to Church, don’t you? I’m thinking of going back.” You will need to be a missionary to them, inviting them Home to the Catholic Church. To help you do this, one thing our parish has already done for this Year of Evangelization. When we were making the 80th Anniversary Photo Directory last Spring, if you had so many people get their picture taken, not only was the Directory Free for us and them, but we were able to also get, free of charge, 1000 full color parish brochures inviting people to join our parish, with photos of different parish groups and events. Once these TV ads begin, I’ll be putting some in the pews for people to take home and give them out if they’d like. And so, as we celebrate World Mission Sunday, let us pray that we will imitate Jesus our Lord, who was sent by God the Father, not to be served by those He was sent to, but to serve them by sharing in their sufferings and by sharing the Gospel with them. May we imitate Jesus, whose Mission was to give generously of His life, that many would have the fullness of life. You are currently browsing the archives for the sundays in ordinary time homilies category.